8.30 am to 12 noon. Reception / Tea and Coffee (take away cups). There will be no formal morning tea break during the Forum's three and a half hours. and Rotary District Governor Anthony Scott. Governments today can’t make all the decisions and deliver all the services that citizens need. Hon Bill English has been invited to outline the government’s relationship with the NGO sector, to comment on innovative models of NGO governance, collective impact, and social bonds. NGOs surviving & thriving - models of NGO governance, from an international perspective. Michael Macaulay, Director of the Institute of Governance and Policy Studies (IGPS) and Associate Professor in Public Management at the School of Government, VUW. Governance and operational issues for Maori NGOs, and their relationship with government. John Tamihere, Chief Executive, Waipareira Trust. Short talk 1: The role of NGOs in international development and poverty reduction. Amanda Ellis, Ambassador, Head of Mission, Permanent Representative of New Zealand to the United Nations Office in Geneva, (Prime Minister’s Special Envoy to Francophone Africa). Video presentation. Short talk 2: Challenges and changes in the environment for charities. 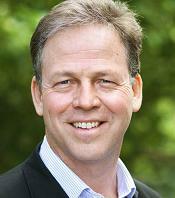 John Prendergast, CEO of the Southland Community Trust since 1998, Immediate Past Chair of Philanthropy New Zealand. Short talk 3: The Collective Impact model for the governance of collaborative action between NGOs and working with central and local government. Maureen Gillon, Social and Civic Policy Institute, Co-chair of Shine Porirua. Short talk 4: Collaborative governance – lessons from the Land and Water Forum, a model for the governance of land and freshwater, involving farmers, foresters, horticulturalists, power generators, business, green NGOs, and iwi, plus central and local government. Session 2; Short talk 1: Wellington Free Ambulance; an NGO that was founded with the help of the Rotary Club of Wellington and now works in partnership with other community organisations, government and business. Video presentation. Session 2; Short talk 2: Wellington City Council’s volunteer and NGO strategy, with a focus on the homelessness initiative, based on an interdependent relationship between community agencies, central and local government. Justin Lester, Deputy Mayor. Session 2; Short talk 3: Plunket, an iconic non-government organisation that was supported and funded by the Rotary Club of Wellington in its early days. Session 2; Short talk 4: Student Volunteer Army, coordinating the student volunteer response to the Christchurch earthquakes and now “empowering students to be the change in their community”. Rt Hon. Helen Clark, Administrator, UN Development Programme, will be speaking on NGOs’ role tackling poverty, inequality and environmental unsustainability in the new global agenda, from a UN perspective. This is video presentation, specially prepared for the Forum, sent from New York. Hon. Grant Robertson, Member of Parliament of Wellington Central, member of the Rotary Club of Wellington. Original generation time 1.2443 seconds. Cache Loaded in: 0.0463 seconds.